You don’t have to be elderly to connect intellectually or emotionally with this book. The story offers something for everyone : for readers of mysteries, a good story; for readers of medical thrillers, authentic (but not too clinical) health care scenes; for readers of literary fiction, an accomplished novel with believable, fully-developed characters. And for all of us living in modern society: a contemporary exploration of unavoidable end-of-life issues. The narrative flows smoothly. The dialogue is always on the mark. The editing is sharp, uncommonly good for alternatively-published books. I read the book twice, appreciating its qualities even more the second time. And after finishing the last page, I couldn’t wait to talk about it with my husband. What higher praise for a book than that it provokes discussion? In addition to the joys of combing through the characters and plot to untangle a mystery, “Eldercide” addresses the moral issue of euthanasia. Homicide – unfathomable. Mercy killing – a very real topic for discussion. Julie Lomoe braids compassion with murder in this page-turning whodunnit. As a retired home-care physical therapist myself, I related completely. Ms. Lomoe’s experience as a home-care agency administrator gave depth to these defenseless patients and their caregivers with true-to-life dialog. Her artistic talents are apparent in the vividly painted scenes, simultaneously combined with her suspense-heightening skills. She blurs the edges just enough where the answers to your questions reside. Colorful in all respects, I look forward to Julie Lomoe’s next work of art. I began this novel with trepidation–like many others, I’m a little in awe, a little uncomfortable with people with “mood swings.” But as I read this terrific novel and got to know the myriad characters, my own mood swung a good ninety degrees–all earlier perceptions altered. This writer is a true professional, I came to realize: a bright, fun loving, compassionate human being. I admire the high quality of the writing, the in-depth characterizations (often delightfully quirky); the fascinating setting (I love the details of the Manhattan Lower East Side); the realistic dialogue, the plot–all of it brilliant. And the plot comes out of character as it should in a good novel–not vice versa–hurray! I found myself going back to reread sections, to laugh (the author has a great sense of humor), to despair when the gifted WellSpringers die, to rage when the adversaries exploit Erika, the savvy but frustrated director. This is what a mystery should be: unravelling like a colorful tapestry until it is all in pieces–and in the end, put back together with love and with craft. 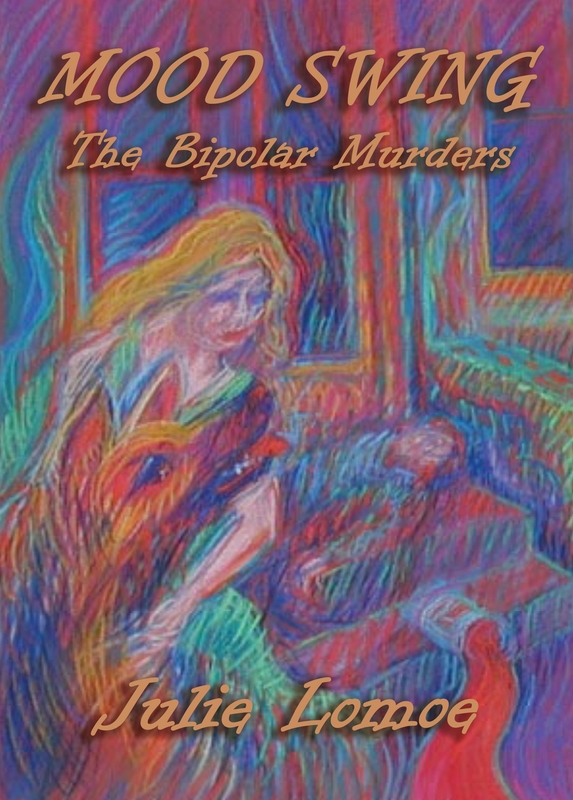 As a practicing clinical psychologist, I found that, besides being a good murder mystery that manages to hold you in suspense up until the very end, Mood Swing: The Bipolar Murders is a sensitive and insightful story about people with mental illness and the social systems that have been established to support them. Ms. Lomoe’s background as a mental health professional has enabled this work of fiction to have an authenticity about it that other authors, who write about people with psychological challenges, are not able to achieve. The reader might find the references to emotional disorders to be disturbing or foreign to them. They are nonetheless authentic. There are people in all walks of life who think and behave the way Ms. Lomoe’s characters do; and there are numerous examples of social clubs, just like WellSpring, that have been established to assist and stabilize their “consumers.” Thus, in addition to being a good page-turner, this novel is also an education. 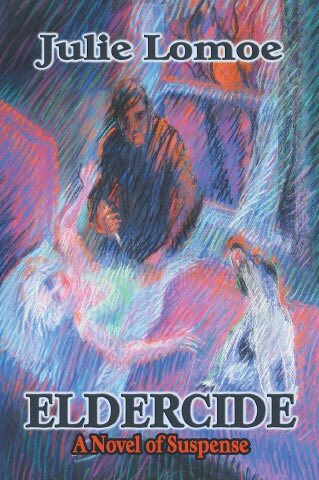 If this story piques the reader’s curiosity and inspires him or her to read further into the subject of bipolar disorder, schizophrenia, the personality disorders, or halfway houses, day treatment centers and social clubs for the mentally ill, then this book has gone way beyond its entertainment objective. If the reader wonders, “Can this be? Are people really like this? Are there really such places as WellSpring?” That much you can bet on because Julie Lomoe knows from whence she speaks! Julie Lomoe’s MOOD SWING: The Bipolar Murders is an excellent read, a well written and exciting page-turner. I liked this book because it took me into a world I know little about, people with mental health problems and how they cope with extraordinary character. Yet it did not sentimentalize these problems, which were clearly secondary to the plot. Lomoe knows the streets and the squats of a big city and the menacing characters that may wear Mafia black or wall-street Armani. Lomoe’s main character, Erica, is believable as a savvy and smart denizen of the city who also has her vulnerable side. She may be Scandinavian but she’s no ice princess. I love a book that takes me somewhere I’ve never been before, teaches me something along the way, and keeps me thoroughly entertained in the process. That’s exactly what Mood Swing did. I found the camaraderie among Erika Norgren and the members of WellSpring touching as they struggled to deal with their personal problems, the murders, and the misconceptions of mental illness by the media and general public. These intriguing characters led me through the streets of Manhattan so well that I felt like I was there in the midst of the action. Filled with twists and surprises, Mood Spring was a fascinating peek into an unfamiliar world. It held my interest from page one to the very end.